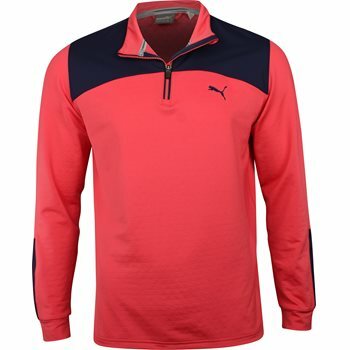 The Puma PWRWarm 1/4 Zip Popover is a great pullover to add some color pop to your outfit. It is also great for layering on those cool spring and fall mornings and evenings. It is made of 89% polyester/11% elastane and features a stripe across the shoulder and down the arms with the Puma Cat logo on the left chest. This pullover also has WarmCell heat insulation technology to keep you dry in any condition.